Remove the transmission. Refer to Transmission Replacement. Ensure to use a NEW fastener whenever the automatic transmission flex plate is removed. Tighten the bolt an additional 30 degrees, and one more pass at 15 degrees using EN-470-B wrench . Stress cracks around the flex plate. Cracks at welded areas that retain the ring gear onto the flex plate. Damaged or missing ring gear teeth. 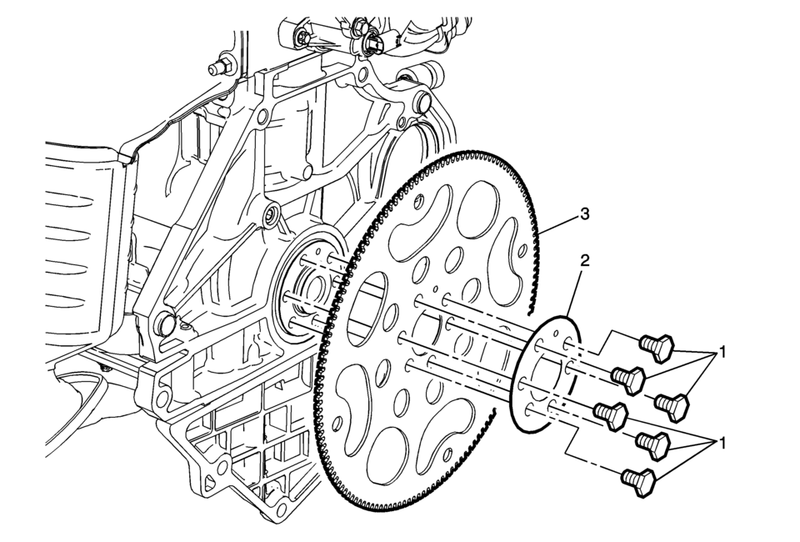 Do not attempt to repair the welded areas that retain the ring gear to the automatic transmission flex plate. Install a new flex plate.